Pewter Earrings – Anvil and Hammer Necklace – Solid Pewter. Great for Western Expansion, Wild West, Indian Wars, Fur Trade Era. 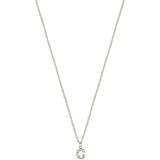 RJ426 – Anvil and Hammer Necklace – Solid Pewter. This anvil and hammer pendant is a highly detailed miniature of a real anvil with a hammer resting on the top. If you love horses or do decorative blacksmithing , you will love this! If you happen to be married to a blacksmith, farrier, or metal worker or are one yourself this is a must have. It is cast in leadfree, jeweler’s pewter. 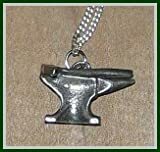 The mini anvil hangs from a silver washed, 24 inch, steel chain. This is suitable for either gender! Simple Nature Craft activities for kids. Make a Daisy Chain or Princess Crown from wild flowers. This is an easy step by step how to craft project that will give you hours of quality time with your young ones.